Lighthouse Insurance Service is a local and nationwide solution to your commercial insurance needs. Conveniently located for ALL your local business needs on Sudley Rd., (Rt. 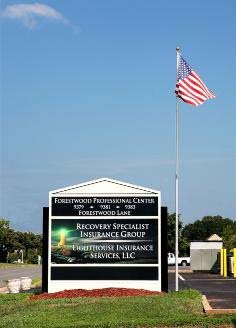 234) in Manassas near the hospital & post office; we look forward to serving and growing with our community neighbors & partners. For your nationwide needs, especially in the towing & transportation industries, we are licensed in most states. Today is a GREAT day to give!